There is no need to tell you the benefits of learning a new language and what you can achieve if you actually speak another one. Nevertheless, I don´t mind to number some of them: It will help you boosting your career, it will make you smarter and capable of doing several tasks and, of course, if you speak more than your mother tongue, many doors will be open to you. You’ll get more job opportunities as your performance in other academic areas is enhanced. Imagine your time traveling! Try to learn the language of the country you’re going to travel to before you get in there. Your experience will be enriched as you’re going to have the exceptional opportunity to mingle with the locals and save lots of money, not only avoiding the so-called tourist traps but also negotiating the best prices for your food and souvenirs. And don´t forget, as your memory is improved when learning a language, you’ll keep on your mind every single piece of your best experiences to share with your relatives and friends. So, do you want to learn a foreign language and have the doors of the world open up to you? Would you like to be able to go to Paris and speak with the Parisians? Of course, you would. Most of us would love to be able to speak at least one other language. But even if you can find the time to study a foreign language, you might not have the money to afford an expensive program like Rosetta Stone, or the time to attend night classes. So, let’s ask the million dollar question: are there any good free programs or apps (or other tools) to help someone learn a foreign language? If you hadn’t guessed it from the title of this post, the answer is a resounding yes, there are! And some of them are pretty awesome. One of the most comprehensive free language learning programs that is out there is both an iPhone and Android app called Duolingo. (There is also a website that you can access from your computer if you would rather use a laptop instead of a smartphone.) They now offer nine languages (including the most popular European languages such as Spanish, French, German, and Italian). Instead of levels of increasing difficulty such as level 1, level 2, and level 3, Duolingo starts you out learning some of the most basic phrases that you need to get around in a country. Each new skill builds on the vocabulary and syntax that you have already learned. Duolingo’s structure is much more organic and free flowing than a normal college course in a foreign language would be (think of a brainstorming cloud diagram compared to a structured essay outline). You learn whole phrases and sentences at a time instead of just words and sounds. And each subject and skill you progress to flows organically from the last one that you learned. Unlike Rosetta Stone, though, Duolingo uses minimal pictures as it teaches you a foreign language. 2. Livemocha – update: Livemocha has been purchased by Rosetta Stone. Livemocha provides a unique approach to both helping you learn a foreign language and keeping the program free: you actually interact (virtually, of course!) with a native speaker in the language you are learning who is a part of the Livemocha community. So, in essence, you have other users of this program helping you learn a foreign language instead of an instructor or computer program. Not only do you get to engage in virtual conversations with another Livemocha user, they also correct/grade/leave feedback on all of your exercises. Livemocha is based upon the current wave of thought that immersion into a foreign language is the best approach to learning the language. (A mostly true thought trend, too. A smattering of grammar is always a good thing to learn, though, of course.) Does this sound like Rosetta Stone’s philosophy at all to you? It should! Rosetta Stone purchased Livemocha in 2013. Not only is Busuu a free language learning website, it is also a free language learning app for both iPhones and Androids. Want to learn something besides a European language? Maybe Chinese? Japanese? Then Busuu is for you! Not only does Busuu give you the opportunity to learn the standard European (Romance and Germanic) languages such as French, Spanish, Italian, and German, it also gives you the option of learning several eastern languages: Chinese, Japanese, Turkish, Arabic, and Russian. Busuu loosely follows the immersion approach with its language learning software. There are a number of preset lessons divided into over 150 units. These lessons are both picture and sound based. (Again, think Rosetta Stone type learning for 0% of the cost!) With Busuu you can also talk with native speakers of the language you are trying to learn! 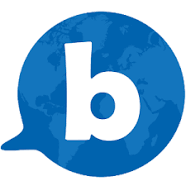 Busuu has a video chat application that lets you actually interact with the native speaker you are talking to. Lingua.ly is another great free language learning program! With Lingua.ly you get to browse the web, collect vocabulary words that you want to learn or need to learn from real articles in your target language, and then add them into your Lingua.ly app (or account). Once you add your vocabulary words into the program, you will be provided with definitions for the words. The program will then portion out your vocabulary words into nice review sessions (you get to choose between the “coffee break,” “regular size,” and “word feast” length sessions). Lingua.ly will also shuffle your vocabulary words together so that don’t forget any of them. Polyglot is not a complete language learning program. However, it is a great free language learning tool to have on hand. You can combine it with any other language learning program that you are using, and you can also use it when you are just actively reading in a language to help you learn the words you don’t already know. In essence, Polyglot is an online flashcard database. Instead of picking through pre-made flashcards, though, you get to create your own. Where Do I Go With All of This? Now you have some wonderful language learning tools. What are you going to do with them? Well, for starters, try them all! Then pick out your favorite tool (or your two or three favorites) and use them every day! After all, you know what they say: practice makes perfect! Know of any additional great, FREE tools available to language learners of all stripes? Share them with the rest of the community in the comments section below! Those are awesome websites, especially Duolingo! If you guys are looking to a more social and practice oriented approach you can try http://www.gospeaky.com – there you can find and chat live with native speakers in your target language, no need of Skype..
Hope it might help some of you. I have tried the on-line Chinese video lessons of New Concept Mandarin. memrise is a really good website I think. started learning German. they have a ton of lamguages.from and lots of levels and difficulties you can start at. it’s very cool. OMG, I cringed so hard while reading the description of Busuu. You know, besides Romance and Germanic languages there are other language groups in Europe, one of which is Slavic and Russian language happens to be part of that huge group. Russian is by no means an “eastern language” nor does that kind of group even exist! By “eastern” you probably meant Asian, and again Russian is not an Asian language but Slavic which is part of the same Indo-European family as before mentioned “standard” (!?) European – Germanic and Romance languages, but that is a whole another story. Just fix it, please.